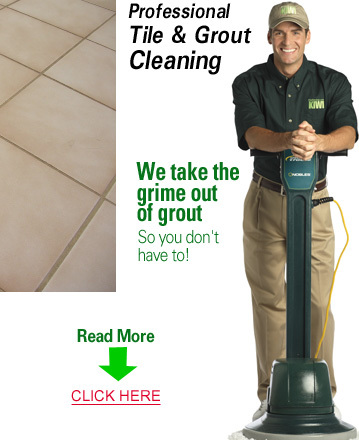 Rowlett tile and grout cleaning technicians at KIWI Services are standing by to help provide you with the kind of tile and grout cleaning services you may have thought were impossible to achieve. Our tile and grout cleaning technicians not only use the best possible chemicals when cleaning your tile and grout, but they will also help to scrub your tile and grout surfaces with special tools that can remove stains from deep down if the pores of your tile and grout. Rowlett tile and grout cleaning professionals are not afraid to use and lot of elbow grease when cleaning your tile and grout surfaces. We will not only help to remove dirt stains from your grout, but we will remove stains from deep within the pores that you may not know were there. When we remove stains from your tile and grout surfaces, we will leave them looking, smelling, and as clean as new. We can even remove mildew and mold that is been wallowing in the tile and grout surfaces of your bathroom, or stains that may have occurred in the tile and grout surfaces of your ceramic kitchen tile. Call today for more information or to schedule an appointment to have your tile and grout professionally cleaned by the KIWI Services Rowlett tile and grout cleaning team.